Say goodbye to complex customer relationship management software that come with a steep learning curve. Embrace ClinchPad and set up a small business CRM in a few minutes! Centralize organization and contact management to maintain a healthy sales funnel. ClinchPad smartly links leads to their respective contacts and organizations. Store all the contact and organization information that your sales process demands. To move things faster, bulk import contacts from a CSV file. You can look up leads and the associated contact and business information in a few seconds! 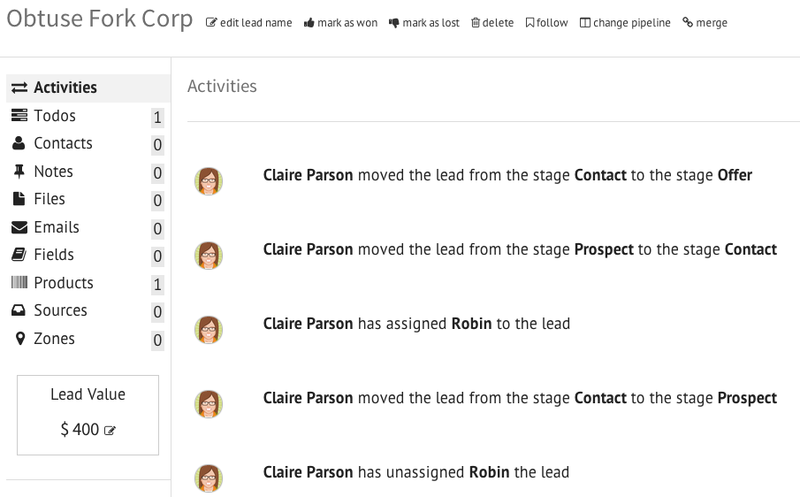 Keep your small business CRM extremely organized with the help of categories. 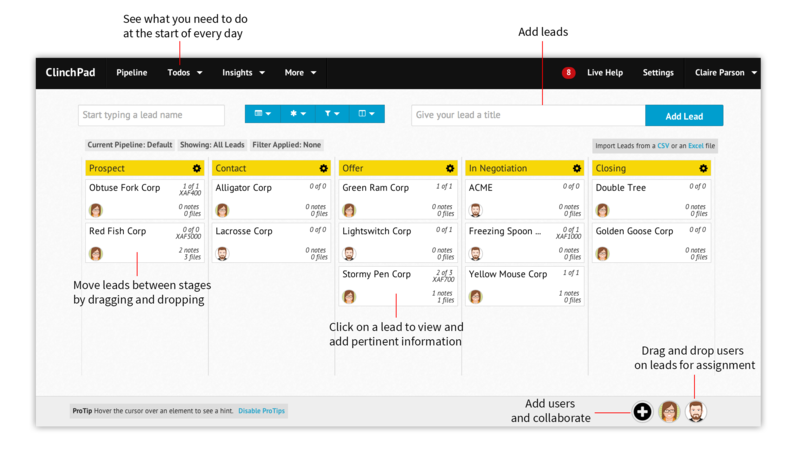 Got a huge product line that’s making lead management crazy for you? Create a list of products and services that you offer and attach them to your leads. Sort and track your leads to learn which product is your cash cow! ClinchPad sales CRM is equally adept at helping businesses involved in channel sales and those with a number of branches spread across geographies. Group deals based on sales channels or the different geographical zones and keep your sales process agile. Ever had to tussle with a lead management software to keep customer relations seamless? Not anymore! ClinchPad ensures that your sales process is perfectly streamlined. 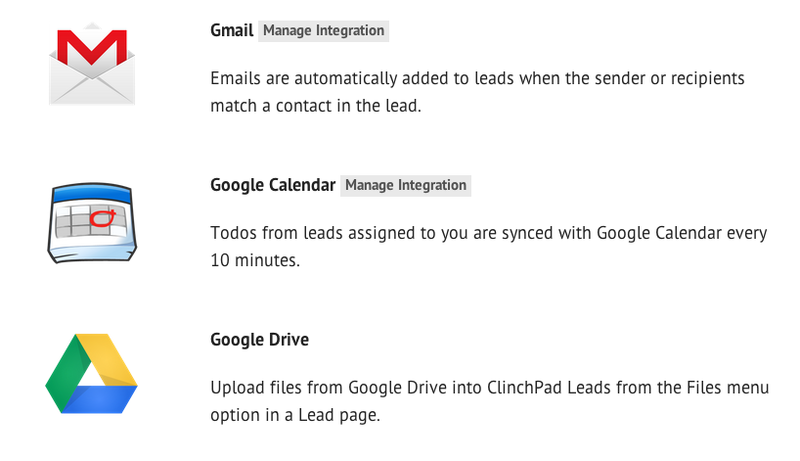 By integrating your Gmail mailbox to our sales management software, mails sent or received are automatically attached including email attachments to the respective leads. Sharing sales collaterals and appointments is now painless thanks to the Google Drive and Calendar integration of our simple online CRM! 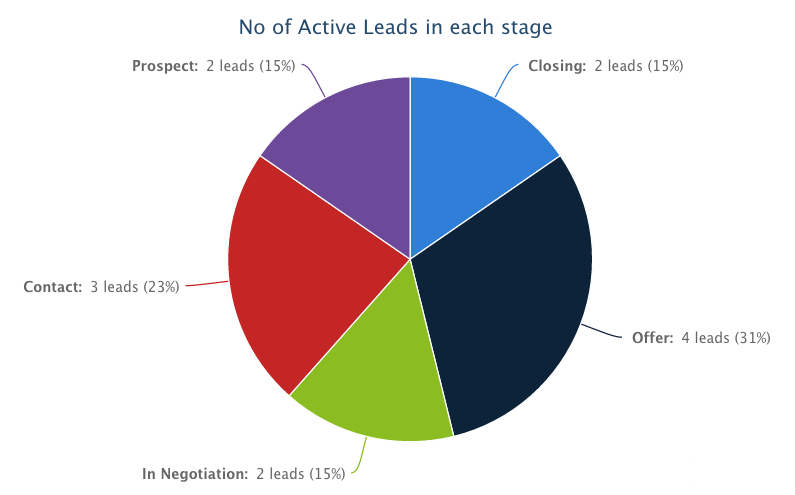 ClinchPad’s sales dashboard is an easy way to analyze your sales pipeline exhaustively. Comprehensive sales reports and charts show you the state of lead management by your sales team. Use these numbers to understand which stage of the sales pipeline requires more attention and use those insights to smoothen your sales cycle!